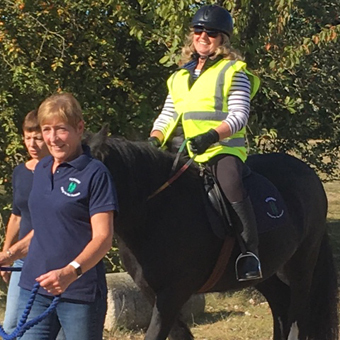 For more than 40 years the Rossway Group, part of Riding for the Disabled Association (RDA), has been creating unique opportunities for people with all forms of difficulties – physical and cognitive - through riding therapy. Riding gives people with limited mobility the chance to stretch and move muscles in a way that may not be possible with other forms of exercise. The rider's position in the saddle and the movement of the horse is a therapy in itself, improving rider's balance, co-ordination and muscle tone. Riding also gives a great sense of freedom and the empathy, which develops between our riders and their horses, is lovely to see. Confidence often improves, along with increased self-esteem and well-being. We run 5 half-hourly sessions on a Thursday afternoon during term time. The class sizes are small - 4 or 5 riders only - and the cost is kept to a minimum. 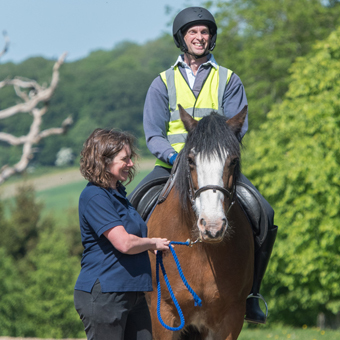 Our Instructors are fully qualified and we have a wonderful team of enthusiastic and experienced helpers who are also trained in all aspects of horse care and safety procedures. Appropriate DBS checks are run on everyone attached to the Group. Our riders are referred to us by GPs, physiotherapists, schools, occupational therapists or independently. We assess all our riders before accepting them.  Ages range from 4 - 75 years and there is an upper weight limit of around 13 stone, but this is dependent on individual rider characteristics. Rossway RDA is run and managed by a group of Trustees who are responsible for the organisation and running of the group. We are all also committee members and cumulatively have excellent communication, teaching and equine skills and years of teaching practice! Coco has been with Rossway RDA the longest and is still the most generous and willing of ponies. Standing at 13.2hh, she is a 19 year old bay mare who is equally happy walking quietly on the lead rein, or, with a more experienced and balanced rider, can change gears and become quite whizzy! Coco is always safe to ride and is very sensitive to the moods and difficulties that some of our riders experience. Diesel stands at 15.1hh and is a lovely looking 13 yr old black Irish cob X with 3 white socks. He was bred and brought up in Ireland where he used to go hunting but now he has a rather quieter life with us and is very good and experienced in the arena or out on hacks, proving just how versatile he is. 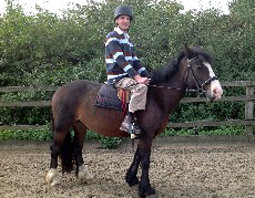 Diesel is very popular with our adult riders as he is very unflappable and calm and yet knows his job very well. Molly was bought as a young pony by Rossway RDA some years ago and is a very good looking 13.3hh black mare with a thick and beautiful long tail. Molly is a very calm and patient pony who will stand for hours being groomed. She also likes her mounted games and will often win a competition for her rider! Stevie is our latest purchase and is a very handsome 15.1hh 12yr old Haflinger horse. He has very comfortable paces and will walk and trot for hours. Stevie is everyone’s star choice as he has real film star looks but is proving to be very patient and calm with our riders. I have MS and it helps strengthens my core. I enjoy spending time with the horses and the other riders, as well as helping with the grooming and preparation. I get so much from riding and it really helps more than anything else with my particular disability (cerebral palsy). I started riding with Rossway back in 1968! Our students have had a wonderful time learning to ride with the Rossway RDA, including meeting their horses, being measured up, and learning about stable management as well! The horses themselves are lovely and friendly making our students feel welcomed and safe with their calm demeanours. Best of all is the expert guidance and leadership of all those involved who are understanding and knowledgeable of our students’ broad range of learning abilities.  We bring a range of young students (11 – 16 years) with a wide variety of physical and cognitive difficulties like autism, developmental delay, cerebral palsy, Downs Syndrome, etc., and find that riding helps our young people in so many varied ways. Learning social skills, communicating and working in a group alongside their ponies is a great step forward for some children, and it develops core strength and works on muscle development for all of them. Our children love it and get a great sense of achievement from their sessions. We are grateful for the confident, knowledgeable and welcoming attitude of the Rossway helpers and teachers. The Rossway Group was formed in 1968 by Mrs Mary Rose Hadden-Paton and her sister-in-law Mrs Pam Garthforth Bles and was named after Rossway House, Mary Rose’s beautiful country home set high in the Chilterns, just outside Berkhamsted, Hertfordshire. Each Thursday afternoon, Mary Rose, Pam and others would teach disabled children how to ride on a pony belonging to one of the founders, plus a donkey and ponies loaned for the day by friends. This they did on the lawn in front of the house and also, during the winter, at Pendley indoor riding school which now houses the Pendley Court Theatre! 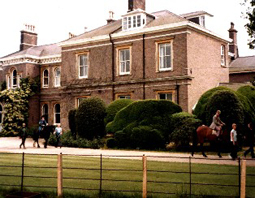 In 1972 the group, having become very successful locally, began to use Hastoe Hill Riding stables in the winter months and then in 1988 made it their base until December 2017 when closure of the riding school prompted another move to neighbouring Shardeloes Equestrian in Amersham, Bucks. 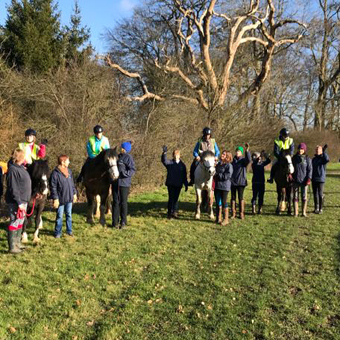 Even now, we meet up each Thursday afternoon during term time to teach riders of all ages and abilities. 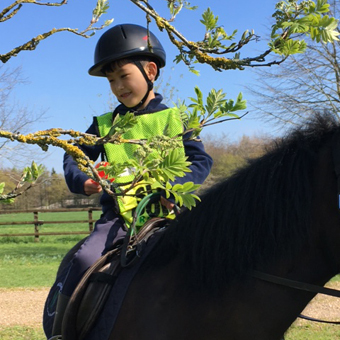 Rossway RDA currently owns two horses and two ponies which are cared for and used by Shardeloes Farm Equestrian in their riding school when not being used by Rossway. Our riders join us either as individuals, or in groups from local schools. It is remarkable to think that one of our riders learnt to ride on one of the founder's pony and still rides with Rossway today. Each year, we try to take our riders out to a competition to sample life outside the riding school. To date, we have been involved in fancy dress shows at Windsor Horse Show and dressage and riding challenges at Oaklands in St Albans where all of our riders have performed impeccably. One of our riders came first and another third in the dressage and there was plenty in store for the younger members to enjoy, as well, and the smiles on the children’s faces when they received their rosettes was priceless. 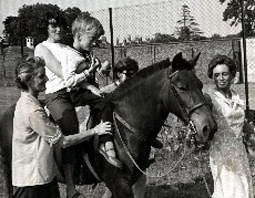 In the summer of 1968, Rossway RDA was formed. To begin with, as I recall, there were about five or six riders in total and I was lucky enough to be one of those. Riding was at 5 pm and for the first year was summer time only as there was no indoor school. During the second year, in the winter months, riding took place at an old indoor school at what is now The Court Theatre, Pendley, just outside Tring. It was very cold and damp and four ponies were transported there each week, again in the evening. The first pony I rode at Rossway was called Lemon, a lovely grey Dartmoor pony lent by a neighbour to Rossway each Thursday. Other ponies I remember were Lollipop, Merrylegs, and Rosie, all bought in by other helpful owners. During those first few years I remember going on a trip to the Royal Tournament at Earls Court and we all travelled together in two Landrovers and sat about three rows behind the Queen; it was very grand. I think this must have been about 1972. I also remember going to Pony Club Camp with Rosie which was hard work with feeding, grooming, mucking out, cleaning tack and, of course, riding. I get a little stiff now and my disability does not give me the same confidence as I had back then but my enjoyment as soon as I get mounted is the same now as it was then. The Rossway Group RDA is grateful for all donations, large or small, to fund our activities. We receive no direct grants from local or central government and rely on the generosity of individuals, businesses and charitable trusts.  Founded as a National Organisation in 1969, RDA now has over 500 Member Groups across the UK. These groups help 30,000 people take part in riding, carriage driving and vaulting activities. Currently RDA is unable to meet the increasing demand for these opportunities - the vast majority of RDA Groups have a waiting list. Volunteers are the workforce of this much respected organisation, yet more volunteers are needed in order to increase RDA services and help improve the well being of even more people. More than 18,000 volunteers throughout the UK give about 3.5 million hours of their time each year to further the aims of RDA. This is great, but not enough. RDA needs more volunteers. 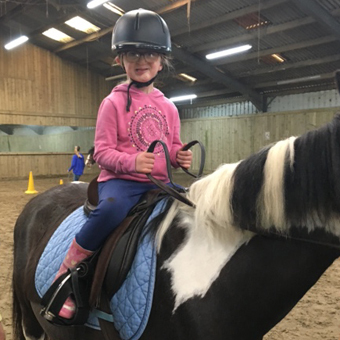 Rossway Group RDA would like to thank Linda and Tony Williams the proprietors of Shardeloes Farm Equestrian Centre, for their wonderful support and encouragement. 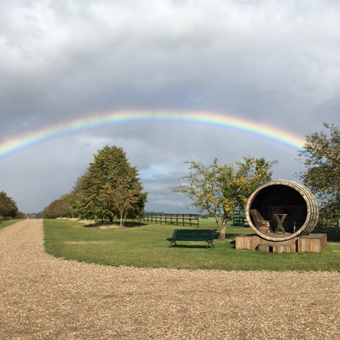 Shardeloes Farm Equestrian Centre,Cherry Lane, Amersham, Bucks. Come off at Junction 18 (Rickmansworth) and follow A404 (slow roads) to Chorleywood, through Little Chalfont and on to Amersham. Pass Amersham College on your left and take the second exit at the next roundabout, keep following signs to the A404 and head towards High Wycombe. Following signs to Beaconsfield and then to Amersham, follow the A433 until you reach a big roundabout at the bottom of Gore Hill, turn left towards Wycombe and pick up the A404. Cherry Lane is a long, narrow lane with passing places. Shardeloes Farm Equestrian Centre is at the end of the lane and is clearly signposted. Follow the signs and park in the car park. Please respect our 5mph speed limit.